They were undoubtedly being reminded that Bush Rules should rule the future, that no sovereignty but American sovereignty is ever worth a hill of beans, and that a newly enunciated Bush Doctrine "principle" – "you can only claim sovereignty if you enforce it" – should not be abandoned. That statement about sovereignty is a classic. It reminds me of a saying we hear in Ethiopia: If something you own is stolen, it's your fault because you didn't watch it closely enough. 6:56 AM The latest addition to our home page is called Who Will You Vote For? 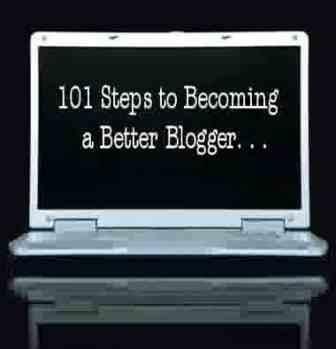 6:52 AM How often should you blog? As frequently as possible. Even daily, if you can. But I gotta be honest with you: I detest sites that post frequently. Especially when their content is good. Makes me keep having to link to essays they publish, like this one or this one. But I think we can learn from their example. Oh, if you need impeccable proof that daily blogging is biblical, just read Heb. 3:13: "exhort one another daily." LOL! 6:42 AM Kevin Schaub has started an excellent series on Mark Strauss's Four Portraits, One Jesus. Go here to read part 1. 6:36 AM I've begun a very pleasant project -- reading the second pages of my grammar revision (due out March 1, 2009). The original edition was typeset by the nation's best: Eisenbrauns. B & H Academic has now completely reset the book, and I think they have done a splendid job of it. Kudos to my editors, especially David Stabnow! 8:45 PM Guess what Nathan and I talked about today as we mucked out horse manure for an hour? The doctrine of sin. And which great theologian do you think occupied our conversation? Chafer? Erickson? Hodge? Barth? Calvin? How about the apostle Paul. As in the book of Romans. Nathan is doing another personal Bible study, this time a five-part series on sin. He will type up the results and make copies available for his small church family. He asked me a number of questions. I kept thinking, "Nathan, I'm just a Greek teacher. I'm not a theologian." He'd ask me anyway. But above all, he is sorting these things out for himself. Here's how he put it to me: "Dad, we were taught the Bible growing up. Now I need to know for myself what it teaches." I couldn't agree more. And he's doing it completely inductively, verse by verse and book by book! I told Dave, without all these troubles, we would not appreciate the clinic success when it comes. The degree of pain makes the success sweeter. It's like birthing a baby...the pain of labor magnifies the joy of the newborn and the wonder of birth is enhanced. So right now we're in the throes of labor pains...things seem out of control, there is no escape, worry & frustration dominate feelings. But we trust God to settle our emotions & continue to work out His perfect plan, according to His good pleasure, for the good of His Kingdom in Burji. We're praying for parted seas and walls to come a tumblin' down. 8:30 PM Look what came our way today! Tons of stuff for Ethiopia. It came from a dear couple we met last year when I preached revival services at Smyrna Baptist Church in Dinwiddie, VA. They drove all the way to Rosewood Farm to deliver it to us personally. We had sweet fellowship and a good time of prayer for Ethiopia. Thank you, Dan and Dorothy! You are precious saints in the Lord and prized fellow workers in the Gospel. 7:59 AM Who are they? Our Ethiopian missionaries, that is. Who are they? Let me tell you. The words of Kipling could not be true of our Ethiopia workers: "The East is East, and the West is West/And never the twain shall meet." They are people who form one more link in the chain that is to bind the world to Christ. They are "laypeople" for the most part, without any official titles at all. They come from your typical Baptist church. None of these churches is elder-led or age-integrated or has many homeschoolers. But the commitment of our team members is genuine, and they can truly be called "Christians" because they are so Christlike in their character and so dedicated to His cause. Genuine brotherliness is their motivation, and they see in their ministry to Ethiopia a spirit of real unity. 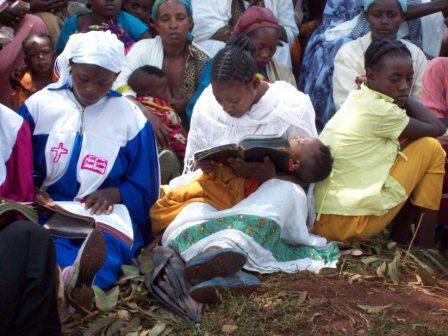 The growth of the church in Ethiopia has been accompanied by intense persecution, but this matters not to our missionaries. Their highest interest is the kingdom, come what may. Through constant prayer they appeal to their God for His sovereign power and care. Filled with His Holy Spirit, they are prepared to speak -- and live -- the Word with boldness and love for all. The worldwide campaign that Jesus ordered means something to these people, and to the families they leave behind. For it is truly a group effort -- sent and senders equally sharing the load and conscious of their responsibility for the task of universal evangelization. Each team member has been selected by and represents his or her own local church, just as Paul and Barnabas were separated by their local church in Antioch under the guidance of the same Spirit for the same work. Many local churches today are willing to commit their approval to missions but not their prayers or financial support. Not so these congregations. For them, the Christianity of Christ is selfless. Through the Holy Spirit Christ now continues His selfless ministry through normal, everyday people. So, who are they, these missionaries to faraway Ethiopia? Simply Jesus-followers who realize their work is too vast, too stupendous, to be accomplished in their own strength at all. They are "no-ones" who love and serve "Someone." In Jesus, their strength is found, but in Him alone. His message must now be proclaimed and applied if the world is to be changed. 7:45 AM In my personal study time I've begun a fresh reading of the letters of Paul, in their chronological order of course, from 1 Thessalonians to Hebrews. (Did he say "Hebrews"?) As a general rule, Paul's epistles were written when he was actively engaged in missionary work, moving from place to place in the midst of intense preaching and teaching. I wonder: Would he have written better -- or written more -- had he been, like many a New Testament scholar today, sedentary? Would he indeed have written anything at all had he not been, at heart, a missionary for Jesus? Would we have the great Love Chapter had he not missionized the Corinthians? Would we have the marvelous Pastoral Epistles had he not planted churches in Ephesus and Crete? Here's what I'm saying: For Paul, as for Jesus (Matt. 9:35-38), Christianity was a way of life, not merely a way of thinking or cogitating in the abstract. The experience of actually serving Christ was central in Paul's ministry and writing. So I ask: Can one be a true student of the apostle Paul and not be a missionary? 7:21 AM Lionel is right: the church is all about people, people just like you and me -- a bit hypocritical maybe, and sinful certainly. Lionel, you may not remember the Jesus Movement, but I was a card-carrying member back in the 60s. We left the institutionalized church in droves. After all, who wanted to hang out with all those hypocrites! Know what I discovered when I got to be about 16? That I was as big a hypocrite as all of them folks I left behind in my local church. So what did I do? Well, Jesus said, "I will build My church [not 'My para-church']," so I went straight back into my local fellowship and plugged in -- big time: youth leader, choir director, deacon. At the ripe old age of 16. 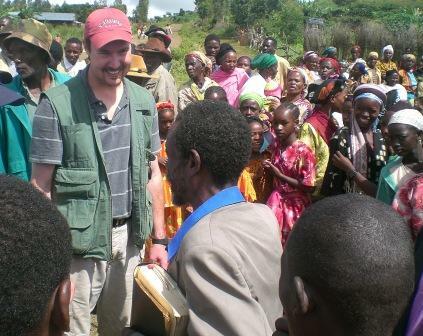 Preaching, serving, teaching Bible studies, volunteering for all sorts of things. Including loving.... Today I love this Body chosen by God to display His grace in the world. And no, you don't have to agree with me on secondary issues for me to love you. I remember reading about an evangelical church that believed and practiced age-integration. No youth group, no children's church, no Sunday School. When they heard about a similar, though age-segregated, evangelical congregation in their town that needed help with Awana on Wednesday evenings, know what they did? Helped them! Their members went to that church and listened to the Sparkies say their verses. Compromise, or scandalous love? You decide. One Lord, one church, one Shepherd, one sheepfold, one throne, one authority, one Body. 8:20 PM Becky and I just got back from Duke Hospital in Durham, where she had her left knee aspirated (RA). Second time in 6 months, too. She's resting comfortably now. I tell you, she is some lady. Tough as nails when she needs to be. God has truly blessed us with one of the best rheumatologists in the nation (he heads the department at Duke University). Earlier in the day Nate and I ran fence wire along the road and our two driveway entrances in order to keep our dogs in and the hunting dogs out. A brisk wind blew the whole time as we worked in 40 degree temperatures. Tomorrow we hope to complete the job by running a strand of barbed wire along the top of the woven wire. Then that will complete the fencing-in of the entire 123 acre farm. Special thanks to Jessie's brother Jon for helping Nathan set all the posts on Monday. You were a huge help! As I walked back to Bradford Hall I snapped these pix: my home sweet home, and these two jets flying awfully close together. I love watching contrails and know that if I wasn't a Greek teacher I'd be an airline pilot (or a cartographer -- I love maps as well)! Imperialism, to my mind, is satanic, whether it is German or English. Princeton is a hot-bed of patriotic enthusiasm and military ardor, which makes me feel like a man without a country. Neither of the two major parties has any interest in bringing our troops home. No matter which of those parties wins the White House, our troops would continue to be used for U.N. missions all over the world. They would continue to stick our nose wherever it does not belong. They would continue their utopian plans of nation-building, empire-building and international meddling. When I become President empire building and playing policeman of the world will come to an immediate halt and the United States of America will once again begin conducting itself as the Republic it was meant to be. 8:37 AM Question: When preachers use Greek from the pulpit, should someone be required to interpret (see 1 Cor. 14:26-32)? The reason I ask is this. Yesterday while driving to campus I heard on BBN a fine sermon in which the preacher, however, etymologized not once but twice. 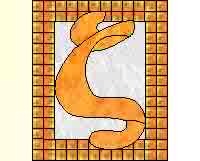 "The Greek word here [he named the word] is composed of two roots [he named them in Greek], the first meaning ____ and the second meaning ____; hence the word means ______." Or something to that effect. The problem is that his definitions did not comport with actual New Testament usage. He had committed (at least in my opinion) the root fallacy, exposed so long ago by Don Carson and others (including little old moi). Here's the problem: Who in the congregation is able to check the accuracy of remarks like that? This is where Paul's teaching about tongues in 1 Corinthians might have an application. (I don't know: I'm just throwing this out). 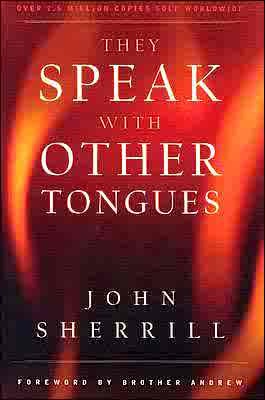 You will recall that Paul requires the one who might speak in a tongue to provide an interpretation at the same time. Or else someone else would have to be present who could show the value (or non-value) of its worth for the edification of the Body. In this way Paul sought to rob the tongues-speaker of the subterfuge and mystery inherent in "unknown tongues" without discouraging initiative of the right kind. Maybe this is a good reason to always have a Q & A session after we preach/teach. I'm told that even the great Golden-Mouthed Chrysostom allowed questions during his sermons. 8:20 AM Rick, I'm told the book will DEFINITELY be available at ETS/SBL next month. I think you'll enjoy it. 7:32 AM Drip...drip...drip. I know I sound like a leaking faucet, but my mind is in Ethiopia again this morning, where exciting things are (always) happening. The latest news is that we were able to purchase 1,080 Amharic Bibles for distribution when our Burji team arrives next month. And we'll have lots of help with distribution this time (Matthew, are you listening?)! 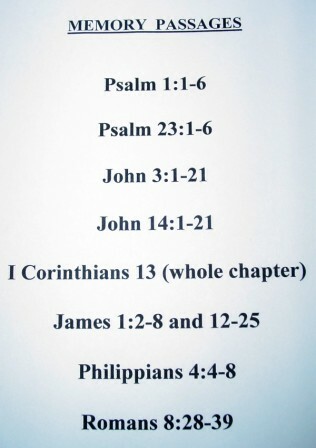 Here are the nine passages of Scripture the children must memorize, word perfect, before they qualify to receive a Bible. It's quite a task, but they are up to the job. 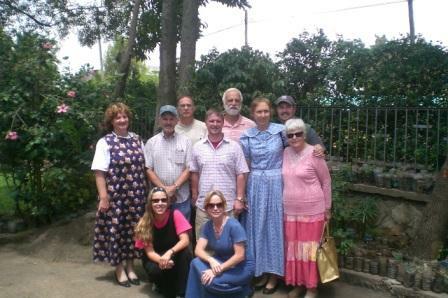 Here's Becky with her "family" in the Burji highlands. She grew up among women like these in the very same mountains. The people there have offered to build Becky her own hut so that she could live there and, my word, I think she may take them up on the offer! 7:16 AM Kevin Brown of Mount Pleasant Baptist Church in North Wilkesboro, NC, sent along a link to one of the books we require our Alaba team members to read: Ishmael My Brother. You can read the entire book online for free. Kevin and his are daughter will be making the trip with us to Alaba next May. 7:12 AM Lew Rockwell says, "Don’t vote!" This year especially there is no lesser of two evils. There is socialism or fascism. The true American spirit should guide every voter to have no part of either. I'm a bit confused. I thought there was a third party in the race, and that Ron Paul was voting for Chuck Baldwin, who is certainly no "lesser of two evils." At the same time, don’t look to Chuck or any politician to do what only God can do in our nation. Reform, if it ever comes, will be from the bottom up, one person at a time and one family at a time. 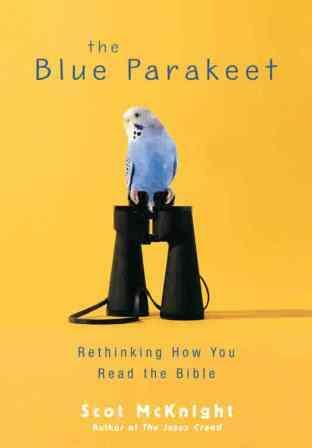 7:10 AM Scot McKnight’s The Blue Parakeet is reviewed here. 7:07 AM Interventionism is the problem, writes Jacob G. Hornberger. Not Muslims. It’s nice to see someone calling the anti-Islam faction on the carpet. God loves Muslims. All Muslims. And so do I. 7:01 AM Will an Obama victory mean the end of the world? Not for me. I belong to a different kingdom. 7:28 AM Off to Wake Forest. Students, see you there! 7:23 AM The latest addition to our home page is called Christianity's Prescription for Sick Churches. 7:12 AM Tuesday shout out to the Bethel Hill Puppet Team for the great job they did at last night's timeline rehearsal. Y'all are the greatest! 6:03 PM I've been sitting here typing away at my latest essay. Today has been gloomy and dark, with a fine rain falling all day long. But two minutes ago I looked out the window only to catch this glimpse of God's green earth. Breathtaking! 5:26 PM No new developments on the clinic shipment and customs yet. Thanks loads for praying. Don't stop now. Meanwhile, there seems to be unanimous and thankful agreement that the shipment even arriving in one piece was a miracle. It's insidiously easy to lose one's perspective if one is always looking ahead and never gratefully glancing backward at what God has already done for the Burji team. It's really one of my greatest faults. Today I've been enjoying some of Jessie's homemade cookies, which are always beautiful to look at and pleasing to the palate. Her mom and brother are here for a short visit. Becky and I have been busy all day with Ethiopia things -- well, Becky has. There's still so much to do and so little time. I keep having to remind myself, "First the blade ... then the ear of corn." How Levitical I'm sounding! Tonight we're heading back to Bethel Hill Baptist Church, where Becky will teach the young people the salvation timeline she has developed for the Burji youth. Hope you're having a good day wherever you are. And thanks again for your prayers for the Burji ministry. Remember, in hermeneutics, there is no substitute for the power of the Holy Spirit in a holy life. Remember the Apostle Paul said, "I didn't come to you with fancy words, but in humility & meekness." And Jesus said to his disciples: When it is time, you will be told what to say. The important thing about hermeneutics is that the preacher be holy before God, surrendered to His plan, following the Holy Spirit, and in the Word Himself, so that his preaching is an overflow of his own learning. In this way, the power of the Lord Himself can flow thru the preacher to the congregation. God made great preachers of simple men like Peter & Stephen & Paul...and He can do the same today as He did long ago! Stone makes clear that the ruling class is people. Not just personalities, but individuals — humans. And these people are neither the embodiment of evil, nor particularly virtuous or incorruptible. The office brings out the worst in the man and his minions, and makes millions pay for it. As I see it, the failed Bush presidency resulted from a combination of complicated historical factors, not from a man who was necessarily "evil." False assumptions about the world, fallacious views of the Bible, intelligence badly handled or even manipulated -- countless unseen forces were at work, all so illogical in one sense, yet so predictable in another. And undergirding everything was the invisible hand of Lady Hubris. I dare say this is a movie that has lessons for all of us. 9:10 AM Last night Becky and I watched one of our favorite movies, The Black Stallion. Newsweek has published an interesting essay about the great American icon, the horse, and about the difficulty of managing horses in the wild. If animals are good for your health, I have no doubt that my horses have had a salutary effect upon me. Winston Churchill once put it this way: "There is something about the outside of a horse that is good for the inside of a man." Below: Traveler being spoiled with carrots during Student Day. 7:17 AM The latest addition to our home page is called Will I Vote for McCain? 7:08 AM Good morning! What a wonderful weekend we had. As I said yesterday, we had an incredible time of prayer interceding for Oshe, the clinic shipment, the Burjis and the Gujis, etc. I enjoyed the fellowship enormously over at Cavel. The Body of Christ is a beautiful thing! I met a lot of new friends yesterday. Over lunch I enjoyed sharing Nate and Jessie's amazing story with the group at my table. Happiness and gratitude envelope me whenever I reflect on how God brought them together. Jessie is worth a million. Actually she's priceless. Don't miss reading their story if you haven't already. It can be found at Jessie's blog. Yesterday I also had a great discussion with a good friend about "lay" ministry. 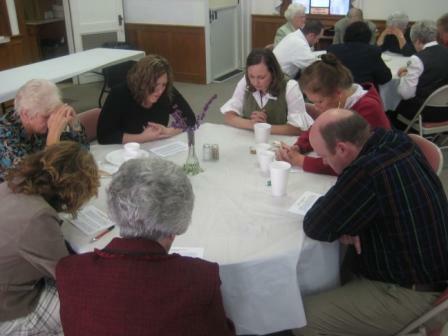 We agreed that a new spirit of volunteerism would go a long way toward restoring every-member ministry in our churches. 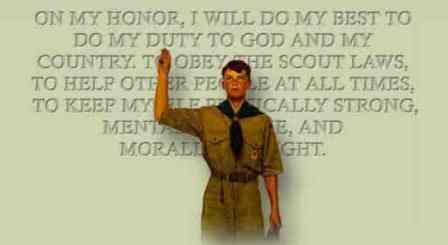 Many men give their best working abilities to such organizations as the Boy Scouts without any pay. They feel honored to serve in such an organization. To them it is a worthwhile cause that deserves their time, energy, and resources. They give their talents to contribute significantly to its success. It gives them a sense of belonging in the community and neighborhood recognition. The key is motivation. The Boy Scouts is a "happening" thing to become involved in! As I thought about the apostle Paul I realized that the elders he (or Titus) appointed in the churches were likewise all home-grown, lay volunteers. The genius of that strategy was that leadership grew naturally from within. There was a genuine sense of confidence between leaders and led because the shepherds were themselves, first and foremost, sheep. I feel very strongly that a wider use of the "laity" in our churches must be fully accepted as congregational polity. I so appreciate the spirit we have in our own church family that encourages participation by each member of the Body. The term diakonos is not restricted in the New Testament only to "full-time" workers. All Christians are servants, all of us are important in the Christocratic fraternity known as the church. And the church is every bit the church when it is sharing acts of love, helpfulness, and kindness Monday through Saturday as when it gathers on Sunday morning. The church is simply men and women in fellowship with God and with one another to equip themselves for Gospel service wherever they are in the world. How I enjoy being a "priest" of the Most High God in this church! How thankful I am that the term doesn't refer to officiants in a building but describes all believers in their role as ministers! How thankful I am for the New Covenant in Jesus' blood! How grateful I am that all Christians serve in the role once reserved for the Old Testament priests -- whether we are teachers, doctors, lawyers, clerks, salesmen, nurses, students, executives, politicians! Thank God for the "people's church"! Praise God that in Christ there is no East or West! Below: North Carolina and Burji unite, summer 2007. This is the beautiful Body of Christ. 7:08 PM Ethiopia, we prayed for you today! Special thanks to Jon Glass and the brethren at Cavel Baptist Church for hosting today's community-wide prayer meeting. 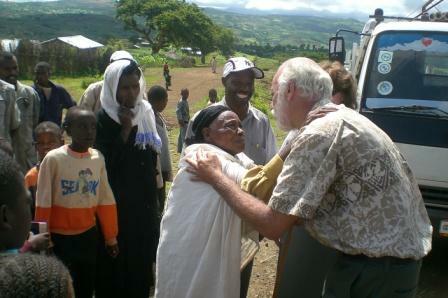 The next meeting is scheduled for Nov. 16, six days before our departure for Ethiopia. God bless all of you who turned out and prayed. You mean everything to Becky and me. The genuine Christian never draws attention to himself. Genuine poverty of spirit means that self has last call on our plans, desires, and inclinations, that our first concern is to reflect the Christ who denied Himself for us, before a lost community, seeking to serve them, not antagonise them, to love them, not disregard them. Read Does the Behavior Match the Name? 9:23 AM This is a big weekend for our Ethiopia mission teams. Today an all-Saturday event is being held at Bethel Baptist Church in Roxboro, NC, for the Burji team, while tomorrow evening Tabernacle Baptist Church in South Hill, VA, will host a song fest for the Alaba team. Meanwhile I'm much in prayer for the clinic shipment. I've committed the matter again and again to the Lord, and my mind is placid. I will accept whatever happens with alacrity. This is a good time to give thanks for the dedication of Oshe, who is an indefatigable worker in the Lord's vineyard, and a volunteer to boot (we work with a lot of "laypeople"). As the red tape tightens he just keeps plugging away at the task at hand. I hardly need add that our work in Ethiopia would be impossible without the help and guidance of local church brothers such as Oshe, with whom it is a special joy to work. People of their stripe sacrifice a great deal for the sake of the kingdom, putting aside "things" for people. This morning my heart is especially grateful for them. Below: The brethren, volunteers all, hard at work in Burji, May 2006. 1) Here's Nate and Jessie's new porch door. Neat, huh? They salvaged it in Oxford. Just needs a bit of cleaning and it will be as good as new. 2) Here's Nate putting the final touches on his porch roof. He had just installed the rain gutter. Jess and I each held up one end (Aaron and Hur, in Jessie's words). 3) Here's the view as I went to check the mail down by the road. Do you think the goats enjoy the fall foliage as much as we do? 4) Curious ducks at our pond. What beautiful creatures. 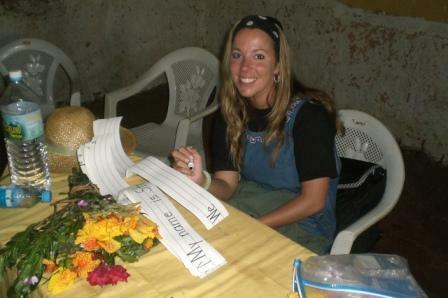 Right now Becky's working on Ethiopia things. For supper we're having delicious leftovers: liver and onions. Otherwise, this is Station DBO signing off. Good night! 4:11 PM I've begun a new Bible study: what Paul teaches about work. Would you like to see how I go about studying Scripture? First, I select my texts. For this topic I've chosen the following passages: 1 Thess. 2:9-10, 1 Thess. 4:11-12, 2 Thess. 3:7-12, Acts 20:33-35, Eph. 4:28. Next, I write out the Greek text of each passage. Then I do a detailed study of the grammar and syntax, jotting down implications and parallels as I go. Very convicting stuff. For example, with regard to Paul's teaching in 2 Thess. 3:7-12 ("If a man refuses to work, he should not eat"), I asked myself, "How could Paul say this if his own practice didn't conform?" I go on in this way until I feel I have covered the material adequately. Already one point seems clear: Paul had a very strong personal work ethic. He was not afraid of hard physical labor. He refused to demand support. He usually refused totake support. He met his own needs and the needs of others. He clearly did not covet material possessions. Et moi? I am gradually learning these lessons: work hard, save, pay your own way (when you can), do not become a burden to the kingdom. Use your money to support missions and help the poor. As a naturally lazy beach bum (remember, I grew up in laid back, hang-loose, "shaka-culture," Hawaii), this has been a long process and a high learning curve! 2:35 PM We have been blessed with a glorious fall, but today it has turned cold, and rain is expected this evening. Today we had a delightful visit from Sheppie and Sadie, who suddenly turned up at our house. They came, I suppose, to visit with Sheba and Dayda, and everyone now seems to be having a jolly good time in the backyard. As for human antics, after a hilarious discussion about where to place our new fig bushes yours truly set to work, "digging in the earth like a peasant" (I love that line from the movie The Great Escape). Here's the crowning result of my efforts with one of the bushes. Such work will, no doubt, insure the old health for a while longer. I'm still sore from yesterday and, while aches and pains normally don't rate very high on the sympathy scale in this household, Becky was kind enough to give me a foot soak and massage yesterday evening, which was just heavenly. She even put on a CD of the Haven of Rest music we used to listen to decades ago in Basel, and we reminisced about those happy days along the Rhine. But there I go -- bragging on my wonderful wife again. On a more sober note, we just spoke with Oshe in Addis, who reports that, despite all of our precautions (official letters, licenses, etc. 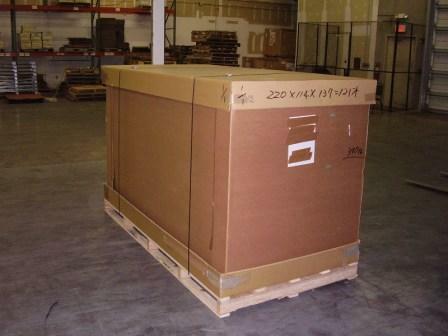 ), our clinic shipment is being held up in customs. I feel it is all in accord with God's will, and we are prepared to accede to the customs agency, but it would be nice if we didn't have to pay duty, which would entail thousands of dollars. The Lord knows. And it's all HIS money. From my point of view, however, I see no reason to stop praying diligently -- now, it looks like, for a genuine miracle. 9:50 AM Yes, I know about "wars and rumors of war." But must we be making constantthreats? Update: Jim Lobe on the Obama factor. English speakers often assume that this world role for their language owes something to its huge vocabulary and wonderful literature, or at least to the fact that Hollywood speaks English. Nothing of the sort. The sole reason is that the world's dominant power for the past two centuries has been English-speaking Britain in the nineteenth century, and the United States in the 20th. How refreshing to hear. Two brief thoughts. 1) How often do I run across a similar misguided sentiment when I hear some scholar waxing elephant about the complex semotaxis of ancient Greek and how superior it was to any other language language of the day. Hence the New Testament had to be written in Greek (rather than, say, Hebrew). Nonsense. Humanly speaking, there's only one reason New Testament truth was inscripturated in Koine Greek, and that is Alexander the Great -- a point I try to make in my essay on Greek in the new ESV Study Bible. 2) If English is on the rise in Africa, this is no reason for us not to learn the local "heart" language. This is true, I think, anywhere you go on this planet. When I served in Germany with Greater Europe Mission back in 1978 I saw American lecturers at the local German-speaking Bible school laughed out of the classroom because their German language skills were so poor. Germans are rightfully proud of their native tongue, even if many of them speak fluent English. Sadly, these missionaries had spent an entire year in language school and still spoke German poorly -- and with a southern U.S. accent. Of course, there are three fingers pointing back at yours truly, for I still cannot speak Amharic as I would like to and have to depend on translators for my teaching and preaching. One day I would like to remedy this fault, perhaps by spending 8 months in country. The only hope, I feel, is the "immersion technique." I do know this: Whenever I enter a village, the people are amazed and deeply appreciative if I can just utter a few simply phrases in their tongue. 9:05 AM Yesterday turned out to be one of those perfect fall days. When I awoke there was no trace of cloud in the sky, and every blade of grass was covered with a layer of frozen fog. Nate and I left for Oxford at about 10:30 to begin our roof painting job just as the day was beginning to warm up. With both of us painting as efficiently as we could, we managed to finish before dusk. As usual, Nate painted the steeper portions of the roof, while I was assigned the easier jobs. And yes, we did manage to get to the Pizza Hut to enjoy its all-you-can-eat buffet just before it closed at 1:30. I left as gorged as a Strasbourg goose. The fact that we completed the job earlier than anticipated allowed Nate to do another roofing job in the quaint village of Stovall in Northern Granville County. It boasts this little church building, the front doors of which display Nathan's handiwork. All in all, a wonderful day of hard physical labor, the results of which I am feeling this morning in my legs and knees. Great fellowship, plus I helped Nathan make a buck. Life is good. 8:57 AM Nate and I will work ourselves to a frenzy today on a roof-painting job down in Oxford. We hope to finish by dark. Rumor has it that Nate is treating me to lunch at the local Pizza Hut, which is perfectly acceptable to me. I could tell you some great stories of painting tin roofs with Nathan but I'll spare you. The remarkable thing is that Nathan is absolutely fearless when it comes to heights, whereas yours truly prefers to have his feet planted soundly on terra firma. An undaunted gofer, 'tis what I am. Meantime Becky and Jessie are heading off to South Boston for lunch and to get some things for Ethiopia. A ladies-day-out if you will. And now, assailed on every side with demands of my not inconsiderable paint stirring talents, I beg your leave. 8:51 AM Zed or Zee? The answer's here. 8:45 AM In view of all the anti-Obama emails that have been showing up in my in-box lately, I thought this essay refreshingly on target: Christians and the Pro-Life Ploy. Christian unity costs us something. It costs us our egos, our comfort zones, and our ease. It calls us not to avoid those with whom we disagree, or with whom we have issues, or with whom we’re in conflict, but rather to confront them head-on—and to do so not with anger, or self-assertion, but with love and grace. This is not to say we must do so with approval; there are times when rebuke is necessary, and refusing to speak the hard truths is a violation of unity just as much as refusing to repent of our own sin and ask forgiveness. It is to say, however, that we cannot hang back from the work of reconciliation, and we cannot let mere disagreement become grounds for disunity. We may be rejected by others—but we cannot in good conscience be the ones to do the rejecting; and though there are times when God calls us to correct one another, even correction must be offered with open arms. Read Rob Harrison's Christian unity. 8:32 AM Ethiopia, where Barack Obama is hugely popular, will soon boast the largest wind farm in sub-Saharan Africa. Ah, but the Galana clinic will be blessed with solar energy, thanks to the ingenuity and hard work of our resident techno-freak, brother Ed. 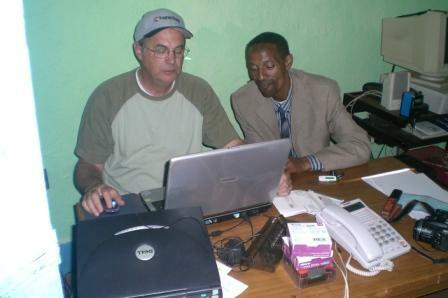 Last year Ed taught a class in computers to the Burji leadership. 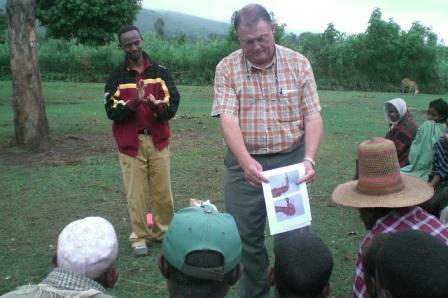 This year Ed and his Ethiopian counterparts will be installing solar panels at three sites in the Burji district. Our solar panels are part of the clinic shipment that Oshe is taking to Soyama -- your prayers are still needed for a safe arrival down country! 5:13 PM The clinic shipment is in Addis! And so is Oshe! He will attempt to get the shipment out of customs in the morning. Isn't God good? 5:03 PM Over at Pisteuomen Michael Halcolm has begun a great thread on evangelism. Whoever is without fault, let him (or her) cast the first stone! This is one tough area. As I see it now, the Great Commission is simply about people -- not methods, strategies, or programs. That said, it can be frustrating when you want to develop relationships with a view to evangelism and disciple-making and the people with whom you're working are going very slowly. One of the hardest things for me to realize is that I may not be able to go as fast as I want to. I must slow down, pull back, and wait upon the Lord's timing for these relationships to develop. I am amazed at how often I forget that my most powerful evangelistic tool is simply prayer. That's why I have a daily salvation prayer list. Praise God that He answers prayer. Praise God for every time He has saved a person I've been praying for diligently. So I think it's important to realize that the Acts 13 "breakthrough" we are all desiring will not happen without a supernatural intervention of God. 4:19 PM I took the dogs for a long walk today under a cloudless sky, making a complete circuit of the farm path to Nate and Jessie's -- the dogs spurting with health and happiness. Little Miss Dayda is losing some of her puppiness and is quickly becoming a young lady, though she hasn't lost her puppy down yet. She has begun babbling in a language known only to her mother, but they definitely communicate with each other. I thought of Alan Knox's recent post as I watched Sheba "lead" Dayda hither thither and yon, always running ahead at full speed with absolutely no thought of her offspring's whereabouts, and Dayda doing her dead level best to keep up. I think that's the way "leadership" works in doggydom and, at times, in the kingdom as well unless I'm greatly mistaken (I'm thinking of Heb. 5:11-14, where the people are told, in essence, "Stop dithering and catch up!"). Otherwise, today I have been working industriously on doing nothing, saving my energy for the post hole digging Nate and I have planned for later on today. Living on a farm is a tonic for anyone but especially for someone who travels as much as I do. I still have Armenia very much on my mind. The scenery was majestic and in places magnificent. 9:24 AM Just spent a few delightful minutes mulling over John 1:14-18 in French.Wonderful! 7:38 AM At Monday night's meeting, brother Jon Glass of Cavel Baptist Church spoke to us on the need for the richer to help out the poorer so that there might be "equality" in the Body of Christ (2 Cor. 8:14). His was a moving call to share our abundance as Americans with others. For Becky and me this has meant cutting back, limiting ourselves intentionally, living a lifestyle that allows us to put more and more of our limited resources into working for the kingdom. God is urging us to excel in the grace of giving. It's difficult to balance our own legitimate needs with the need to enable the Gospel to reach out to the ends of the earth. I so appreciated Jon's reminder that prayer can never be a substitute for obedience. I'm not saying that Becky and I are doing this perfectly -- far from it -- but it's our goal to do better all the time. As God knows our heart, "We intend to do what is right, not only in the sight of the Lord, but also in the sight of people" (2 Cor. 8:21). By the way, Jon blogs here. 7:21 AM With the Bush doctrine in shambles and the war party embracing Obama, I went to the news sources this morning to see what people were saying, if anything, about the only non-interventionist in the race for president. (I'm referring to the Constitution Party standard-bearer, Chuck Baldwin.) What I find so odd is the strange silence among the libertarian followers of Ron Paul. It is ironic, given how intently Chuck supported Paul, and given the latter's public endorsement of the former. There's no indication that libertarians are thinking about cozying up to the CP candidate any time soon, even though Chuck's positions bespeak sound economics and a sensible foreign policy (not to mention a sane approach to the abortion issue). This raises the urgent question of just how committed libertarians are to, well, liberty. The libertarians have made a point of distinguishing themselves from the warfare-welfare Bushies. They seemed genuinely surprised when their Gladiator lost in the primaries. Now that their man has endorsed the CP's choice, it is no time for them to act as if they're without a candidate who represents old-fashioned conservatism. 6:31 PM I see I wasn't the only one gathering firewood today. Here's a trailer load N. and J. will deliver to Wake Forest tomorrow. They spent most of the day in the woods collecting it. Life on the farm! Right now I'm cooking Chinese for dinner. O yeah! ... need fire wood. This should tide us over for a few wintry days. Elders do have a particular role of teaching and higher expectation for faithfulness, but all believers have the Holy Spirit and are able to speak the truth authoritatively. Here we see that the church believed that these leaders spoke for God uniquely. To this false spiritual distance was added the recognition, power, and money that came from the State. Thus, we have a pattern similar to the clergy/laity distinction we seek in our churches today (though not necessarily with the State involved). 11:57 AM "Barry" Obama's Hawaiian pilgrimage is recounted in this touching essay. Eerie reading for me in some ways. We both were born in Hawaii, we both graduated from High School there (he from the prestigious Punahou, me from the run-of-the-mill Kailua -- our schools were famous rivals), we both wore maile leis at commencement, we both lost our fathers to divorce early in our lives, and we both loved water sports and basketball (I surfed every day and, at 6' 4", played tons of basketball). He and I both value ethnic diversity (which I miss terribly where I currently live and work). I see he still body surfs (nice form too), as do I. No, I don't expect "Barry" to bring sanity to our political system. But I don't think he deserves the low-tech attacks he's getting either. For a guy whose daddy went wobbly and who grew up (as I did) as an ethnic minority, he's done well with his life. At least he doesn't go round mimicking the Beach Boys' "Barbara Ann." I wish him well, even though he's not getting my vote. 11:12 AM Wayne Lehman points out here how helpful it is to check a new Bible translation according to paragraphs (instead of, e.g., verses). I agree. 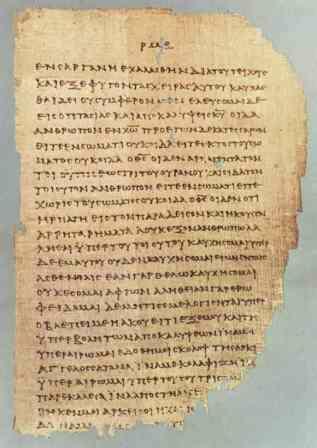 I always have my students examine a book of the New Testament paragraph by paragraph. They may write their term papers on any paragraph of their choice from the New Testament (whether the paragraph is 1 verse or 12 verses in length). The paragraph, it seems to me, is a basic (if not the basic) thought unit in a discourse. This is one reason I am so befuddled that at the ETS meeting next month several different New Testament exegetes have been asked to analyze Phil. 2:6-11, when everybody knows that the paragraph begins in verse 5. Several years ago I tried to examine the discourse (and paragraph) structure of Philippians in a quest to discover the linguistic macrostructure of the letter, a letter that is beautifully and wonderfully made. One of the things I discovered is that 2:5-11 is simply the illustration of the exhortation of 2:1-4, the latter being the heart of the epistle expressing the rhetorical exigence for Paul's taking up his pen in the first place: the need for unity in the cause of the Gospel. So it will be interesting to see how all this plays out at the meeting. One thing I know: the more I attempt exegesis, the more I'm confronted with my own limitations and the need to dig deeply before teaching from the text. 7:53 AM I just received this email from a professor in a major evangelical university. Read it and weep (emphasis in red has been added). Greetings. I write this letter to several of you at the Seminary because I am coming to Raleigh to speak at an event on Saturday Nov. 8 related to the _____, in my capacity as ________. I … would like to minister at the Seminary by giving a presentation to your Chapel or other venue, or to speak at a big Baptist Church in the area. Since I am coming to Raleigh for the other event, I offer my services to you. Most of my expenses are already paid, so all I would need is an honorarium. I am sorry for the rather short notice, but I guarantee my presentation willexceed your expectations, and your students will be greatly encouraged in their faith and learning. As the character in Woody Allen's Hannah and Her Children says, while watching a TV evangelist appeal for money: "If Jesus came back and saw what's going on in his name, he'd never stop throwing up." 7:45 AM On Sunday, as I enjoyed lunch with a group of seminarians, our conversation turned for a brief moment to Jesus' words about titles. I had to admit that I ask my students to call me Brother Dave or simply Dave. The reason is because I tend to take Jesus' words literally. Actually, this topic also came up three weeks ago in my class at the Baptist seminary in Armenia, though these Baptists already had the good sense to call one another -- including their president and teachers -- brother (or sister). They did tell me one sad story about an American professor who, when called by the students "Brother Dan," make it very clear that he was to be addressed as "Doctor Dan." I often wonder why we're so consumed with our petty, worldly titles and feel we need to puff up ourselves at the expense of the brotherhood. Even Jesus is not ashamed to use the "B-word" with us. I can't help but think about the Rev. 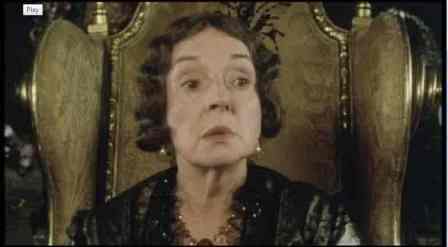 Mr. Collins in Pride and Prejudice, who's always extolling the "condescension" of his patron, Lady Catherine de Bourgh. "If you do what I do, she may very well favor you with some portion of her notice." Paul is not saying that Christ became less than God or "gave up" some divine attributes.... Rather, he is stressing that Christ, who had all the privileges that were rightfully his as king of the universe, gave them up to become an ordinary Jewish baby bound for a cross.... While he had every right to stay where he was, in a position of power, his love drove him to a position of weakness for the sake of sinful mankind...." (p. 2283). If Jesus could do all this for us, surely we can lay aside our thrones, titles, degrees, robes, collars, diplomas, podiums, platforms, etc. All that to say this: Last night, before I got up to address the messengers of the Beulah Baptist Association, I was introduced simply as "Brother Dave." Thanks, Jason. What an honor! 7:05 AM My body is in Virginia, but my mind wanders disobediently back to Ethiopia, where even now the clinic shipment is (we hope) about to be loaded onto a truck and driven to Soyama in Burji. In the great pendulum swings of history, God is still very much at work in the small places of the world. So do pray for our dear brother Oshe as he sees that the shipment arrives safely in Burji-land. He has a very grave load of responsibility. 9:46 AM I've been reading my copy of the new ESV Study Bible that the publishers so graciously sent me. I am very impressed with the layout. Some statements are destined to become classics: "[T]hese verses were written not to spur Christians to theological debate but to encourage greater humility and love" (p. 2282, with reference to the Christ hymn in Phil. 2:5-11). On the other hand, on p. 2367 we read, concerning the authorship of Hebrews, "It seems that the judgment expressed by Origen (d. c. A. D. 254) remains correct: 'Who actually wrote the epistle, only God knows' (cited in Eusebius, Ecclesiastical History, 6.25.14)." Such agnosticism will not do. Origen, who consistently quoted Hebrews as Paul's, was uncertain only as to the penman or amanuensis (see "Origen on the Authorship of Hebrews"). Too bad the editors didn't catch that one. At any rate, I'm enjoying reading this magnificent tome. 7:24 AM Good Monday morning, blogging friends! I'm sitting here watching the fog rise over the pond and thinking, "You are the most blessed man alive." Not only do I have a great family. 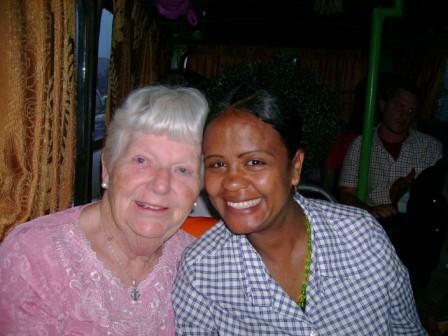 Not only do I get to travel the world to share the love of Jesus. Not only do I get to teach the greatest students in the greatest seminary on earth. On top of everything else I get to visit and preach in the greatest churches Sunday after Sunday. Yesterday brought me to Mount Pleasant Baptist Church in Colonial Heights, Virginia, where I spoke in their 3 morning services. What a great group of enthusiastic Jesus followers. The church boasts several SEBTS students, and afterwards they treated me to lunch at the local Olive Garden. I was glad (but not surprised) to see they were as interested in missions as they were in Greek! An additional serendipity: one of them took me to see Robert E. Lee's headquarters during the siege of Petersburg. Lee was camped here on the morning of July 30, 1864 and heard the explosion of the "Crater." What fascinating architecture, including the recessed front porch. Finally, here's one for Nathan. It's the second largest magnolia tree in the world. It was planted in 1718. It stands just outside Lee's HQ. Magnificent. Tonight I speak at the Beulah Baptist Association's annual meeting near Yanceyville, NC, which is also noted for its historic homes. I may go early and try to get some pix. I see that my good buddy Alvin Reid is tomorrow's night's speaker. Alvin has a great, missional blog.Check it out when you can. 9:29 AM I was standing in line for a visa at the Yerevan airport when I ran into a group of elderly French tourists. They spoke not a word of English. I regretted intensely that my French was so weak, but it had to suffice. They appreciated the effort, though at one moment they were blushing and at the next rolling with laughter. At any rate, it is no shame to admit it when your language skills get a bit rusty, and for anyone needing to refresh their French I can think of no more helpful or interesting site than Celucien Joseph's Theological French. See if you don't agree. 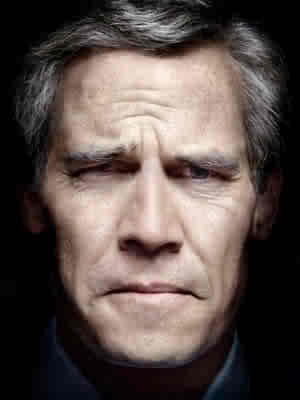 9:18 AM The latest addition to our home page is called Christian Archy: Some Implications. 4:26 PM Been a good day so far. Despite the rain, I was able to paint the back porch, and Nate worked on framing in his back porch pantry. Meanwhile the trees are beginning to put on their autumn garb, and soon the farm will be ablaze with color. On the political front, as yet my opinions of McCain and Obama haven't changed. Americans will apparently decide the election based on the relative priority they give to the economy versus social issues. I find little moral foundation in any of this. As if politics was the panacea of the evils of society! No matter who wins, the new New Deal is here to stay I'm afraid. "Government must intervene to relieve the suffering of the people" has become the unchallenged and unchallengeable mantra of the day. For dinner tonight we are driving down to Henderson, NC, to get some trout at the famous 220 Seafood Restaurant. Actually, eating out this evening was the request of our yet-to-be-born grandchild (so says Jessie! ), and as you can see Becky and I are quite ready to spoil him. Thus far I'm one third of the way into my sabbatical and am enjoying it immensely. I'm feeling great, exercising regularly, and enjoying myself in spite of the rigors of travel and writing. At times I feel like a one-armed paper hanger! But truth be told, I am anxious to get back into the classroom this January. So far I've had a delightful and enlightening time wandering around the planet and am conjecturing that my forthcoming trips will be just as interesting and, I hope and pray, beneficial to the kingdom. 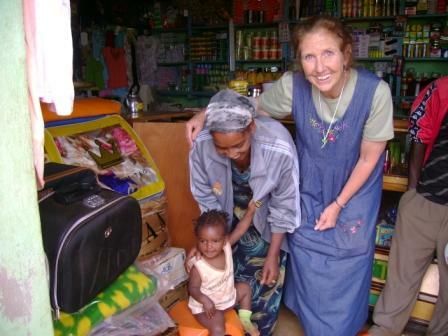 I was deeply touched today when Becky found a small envelope in our Ethiopia things containing a 5 dollar bill from a child -- unsigned. Just a simple token of anonymous love. God knows the giver. It brought sunshine in the midst of a cold drizzle. Amazing how even children can distinguish the wheat from the chaff and appreciate true values! Off to get our trout and hushpuppies. It left RDU for Atlanta yesterday. Tomorrow it flies from Atlanta to Frankfurt. On Monday it flies from Frankfurt to Addis Ababa. It should clear customs on Monday. Needless to say, we are praying fervently for a safe delivery of the clinic supplies and solar panels and especially for the physical safety of the Burjis who will be in the truck. At our Burji team prayer meeting last night, I thought Cindy put it so well when she prayed: "Lord, send your holy angels to surround that vehicle. But whatever happens to it, help us not to get our eyes off Jesus." Amen! 8:35 AM Good morning! Care for another brief update about my recent trip? Armenia is the smallest of the former Soviet republics. It is full of gorgeous mountain ranges. Yerevan, the capital, sits in a valley ringed on 3 sides by hills. 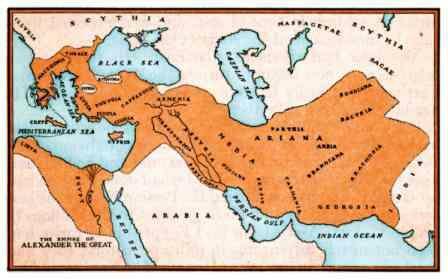 Its history dates back to 782 BC. The plains around Yerevan have an unobstructed view of Mount Ararat, rising majestically in neighboring Turkey. The weather in Yerevan was ideal, with temperatures averaging 75 degrees in the daytime and 50 at night. Huge, defunct factories and apartments, a legacy of the former Soviet Union, are everywhere to be seen. This tenement building houses refugees from Azerbaijan. What a missions opportunity to show the love of Jesus! Any takers? One-fifth of the population of Armenia lives in the capital city (1.1 million). Armenians have very close ties to the U.S., Russia, and Iran, and most Armenians have at least one wage earner in the Russia and the U.S. Armenians are very proud of the fact that theirs was the first nation to officially embrace Christianity in 301 AD (several years before Constantine), though only a few churches today hold regular Sunday services. 90 percent of Armenians belong to the Apostolic Orthodox Church, and Echmiadzin, where I lectured, is the Armenian equivalent of the Vatican. I was told that Armenians prize education and books above everything else. I can attest that it is true. I was able to give 8 of my books to the president of Arya University in Yerevan for his school library. Arya is dedicated to Iranian and Caucasus studies and even sponsors a major journal called Iran and the Caucasus (published by Brill). The university is only two years old but already offers masters degrees and doctorates, mostly to Iranian ex-pats. The president is a renowned linguist, and we spent what seemed like hours discussing the intricacies of Old Persian or Ancient Greek or Classical Latin. When he invited me to lecture to his students I readily agreed. Here I am speaking on Greek morphology to a group of eager first year students. Because they already knew the Cyrillic alphabet, they easily picked up the Greek ABCs. I tried to show them how magnificently God has structured the Greek language, and every language for that matter. Later in the week I was invited back to speak on the subject of American evangelicalism. My audience was very attentive and even laughed at my silly jokes. It was possible for me to give a clear testimony to the grace of the Lord Jesus in my life and how His Gospel has changed me and IS changing me. I said, "Religion says to mankind, 'Here's a book. Obey it!' Christianity says to mankind, 'Here's My Son Jesus. Know Him. Love Him. Trust Him. Serve Him. Follow Him." In Ashtarak, a 30-minute drive northwest of Yerevan, I spent a wonderful week teaching the students at the Armenian Theological Seminary, whose new building was erected with the help of North Carolina Baptists. I lectured 5 times daily, Monday through Friday, and spoke in chapel every morning. I taught the "brothers" how to use Greek in ministry (drawing from my book by that title). (The "sisters" at the seminary are taught separately.) Here's my hardworking class. We spent most of our time doing what I like to do best: exegeting specific texts of Scripture, including the opening salutation of Galatians (photo), asking ourselves, "Why is Paul so longwinded and what is the point he is trying to make?" The structure of the passage gave us clear answers! We also exegeted (in Greek) Rom. 1:1-7, Phil. 1:9-11, Heb. 6:4-8, Heb. 12:1-2 and other key New Testament passages. The students (and I too) were blown away by the beauty of the inspired text -- not only its words, but its tenses, moods, participles, structure, etc. We saw 2 Tim. 3:16 in action! I thoroughly enjoyed doing all this teaching and lecturing. I especially enjoyed showing students how practical the New Testament is, and how clearly it focuses not on any man, not on any pastor, but on JESUS. 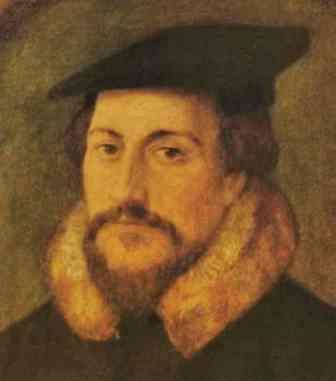 The goal of a seminary education is not head knowledge -- a thousand times NO! If Christianity is to make any headway in countries like Armenia, it must be proved to be more than a theory, and we teachers must show by our walk the reality of lives transformed by the mighty power and love of God. We must demonstrate to a culture that worships knowledge and academic achievement that book learning is dead and worthless unless we seek first the kingdom of God and His righteousness, surrendering EVERYTHING in our lives that would interfere with this. As a teacher, this means that I must be just as Christlike to my students as I am to university presidents. As for lecturing at Arya, I desperately wanted my non-Christian audiences to see and know that God loves them with more than the love of friendship. He loves them as a bridegroom rejoices over his bride. Here's a challenge for you young students, especially all of you doctoral students. Why not use your education on the mission field? Opportunities abound, both for long- and short-term teaching. Even secular universities are willing to open their doors to qualified students, not to mention all the seminaries that are in desperate need of teachers. Just last year I received an email from an American evangelical who is using my beginning grammar in a Greek class at Shanghai University in China! So, instead of taking that vacation in the Bahamas or at Disney World, why not INVEST your education in teaching for a week or two in Armenia or Romania or Ethiopia? I talk a lot here about having a Great Commission Marriage and a Great Commission Family. How about a Great Commission DOCTORATE? Stepping off my soapbox now. 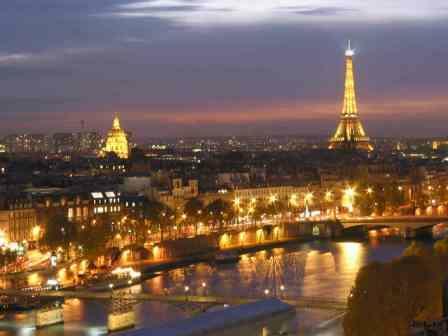 Hard to believe that my next trip abroad begins in only 23 days -- IF my visa is granted! 5:58 AM Off to Wake Forest! 5:56 AM Our family loves old things, especially old houses. While I was gone, Nate and Jessie had a chance to visit one of North Carolina's most historic homes. Here are a few pix of their tour. I'll let Nate write the text. Enjoy! Hill Airy is the plantation home of the Gregory family of Granville County, established on land that had been granted them by King George during colonial days. They originally were granted 25,000 acres on one side of the highway (now US15) and 35,000 acres on the the other. 4,000 acres are still in the family, owned by Herbert Gregory. At our request, he was more than happy to give us a guided tour of his family property and homes, though he now resides in a new home he recently built nearby. The oldest home on the property was built in the 1830s. It is one and one half stories with a full finished basement. It is built in the then-emerging Greek Revival style. An unusual feature is the recessed porch, fitting between two rooms on the main floor level. The inside of the porch is treated as a room would be, with flush boards and wainscoting. The rear of the house is even prettier than the front. The one story appearance of the house disguises the immense size of the structure, with a full finished basement and attic rooms. The foundation and chimneys were built with large cut stones, hewn to a flat, square surface. Nearby is the only remaining 1800s flour mill in Granville County, built by the Gregorys in 1847 (the other 2 historic mills in Granville were demolished in the last few years). The side door on the right leads to what was a food preparation area "pantry." The kitchen used to be in the yard about 200 feet from this porch. The door on the left leads directly into the dining room. You can see where later occupants of the house added a smaller brick chimney beside the original large one to use with a woodstove. A close-up of the front porch, with its flush sheathed boards and wainscoting in the manner of an interior room. When you come in the front door, you are in the central hall, with stairs both to the upstairs bedrooms and down to the finished basement. The formal dining room. The door on the right leads to a small porch. The door on the left is fake, only being put there to provide symmetry on the wall. The bedrooms upstairs are built within the roof of the house, with each room having 4 dormer windows and a fireplace. There is also a small room at the head of the stairs that may have been a bedroom at one time. Close view of one of the dormer windows. The formal parlor also has flush wainscoting and Greek Revival details. This mantel is a good example of the early style of Greek revival, before it became commonplace in Granville County. In the 1890s, the Gregory family built a newer farm in a different part of the plantation, and used the older homeplace as a tenant house for many years. The following pictures are from the part of the farm established in 1895. Their barn looks like it would belong more in Amish country or the Valley of Virginia than rural Granville! It has a lot of detailed woodwork on the eaves and over the openings. Hill Airy still has a herd of Angus cattle that roams the pastures. Behind the 1895 house is this neat building, a smokehouse with a shed added around it. Quite an unusual shape, don't you think? Mr. Gregory allowed us to drive around the farm and look at all the old buildings. We found this old barn in a back pasture along with a log tenant house and other tobacco-related structures all dating from the early 1900s. The Gregorys moved from their old house into this house in the 1890s. What at first glance looks to be an ordinary farmhouse is on closer inspection a finely detailed old place. Note the double-stepped chimney. When you need more space, just add on! Here is the union of 1895 and 1930s! The porch is one of the most ornate ones you'll find in rural houses. Here is the detail work on the roof of the porch. Hill Airy plantation has been the home of the Gregorys for over two centuries, and it is neat to see how a property changes to suit each successive generations' needs. 6:36 PM Becky's in the kitchen cooking up a storm. Spaghetti with all the fixings. Want to see what we did today? The sheathing boards are up, and the framing is completed. How do you like Nate's porch windows? He's using old-fashioned roofing tiles, like the ones on the rest of his house. Where he salvaged these from, only he knows. He is the world's greatest scavenger. Today was a first for Sadie. Nate and Jess let her in with the goats. Her herding instinct kicked in right away. Neat to watch. Way to go, Miss Sadie! I'm told N and J are bringing up some popcorn after supper. Life doesn't get any better than this. 6:35 AM I've just uploaded part 2 in our new series. It's called Christian Archy: Its Major Tenets. 6:26 AM I cannot tell you how much the Burji-Guji conflict is on my heart these days. I completely refuse to accept defeat. To love God means to serve God's work in the world -- including serving Him in the rough and tumble places of this world where hostility seems to abound. And there is only one solution. Jesus is the Light of the world, and light eliminates darkness. The Bible tells us that where just men exist, justice prevails. It's just that simple. There are no political or social solutions to the conflict! Even religion has no power! Do you not hear the cries of the anguished? Shall we not share their sufferings? Don't we see their plight? I enjoy my "profession" as a teacher, but, frankly, I have had it with proclaiming God in the abstract. All that I have taught and written will be useless unless it is understood as a call to mission. So please pray for brother Jason and me as we are preparing to go into Guji territory -- that God would give us an apprehension of what we can and ought to do in this world in order to live according to the will of God. In the meantime, I have drawn encouragement from the latest issue of Themelios. Please read this excerpt prayerful and carefully, and then ask yourself: Do I truly love my enemy? Love of the ethnic enemy—of every enemy—is what must characterise the church as the body of those who were themselves enemies of God and were reconciled through his love precisely when they were enemies and as enemies, in order that they should be enemies no longer (Rom 5:10). Having received that love and experiencing now its transforming power, God's own people can and must demonstrate it in the quality of their common life and in their engagement with a world of ethnic discord. Such love demonstrates grace and pardon. It pursues truth, justice, and peace across ethnic divides in society as well as in the church and personal relationships. It is radically countercultural—and dangerous. It is not natural but extraordinary and an affront to conventional human wisdom, exactly as the Samaritan's love was, and the Father's. But it is that very outrageous and supernatural character which brings conviction and the only true and lasting hope of communion beyond ethnicity, for 'by this all men will know that you are my disciples, if you love one another' (John 13:35). Below: Guji women and children (including one with Down's Syndrome on the left). I snapped this photo last June when I trekked into Guji territory. I love these people so much it hurts. The brew of the Master was bitter; there was nothing likeable in it. In fact he prayed that the cup would be taken from him.... 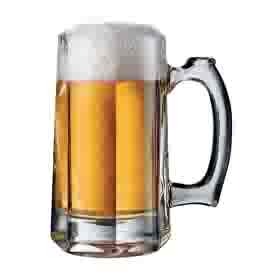 So choose you this day which cup you will drink - the Meister Brau, brewed for the likes of you, or the Master's Brew, brewed for the life of you. [The Christian] may be in this world, it is true, but all his "ties" are elsewhere; all his ties of thought, truth, and fidelity depend on his Lord, and he owes no allegiance to the world. Further, when we speak of "this world," we are referring to concrete realities: the nation, the State, the family, work .... To all this the Christian cannot swear an unconditional loyalty. His first duty is to be faithful to his Lord (Matt. 10:37). Ouch! But Ellul is absolutely right. The time is short, friends. Are you and I doing all we can to reach a lost world redemptively with the only truth that can change their lives for time and eternity? Meanwhile, it's another glorious day here in southern Virginia, and I've postponed my trip to campus one day so that the roofing team can finish its work. I'm still a bit jetlagged, but otherwise I'm feeling great and working hard. Besides, working with Nate is a veritable riot of fun. Not to mention the show on the sidelines: his dogs and cat mixing it up -- a battle of gigantic wits to which we are amazed bystanders! 4:01 PM 'Twas a most beautiful day to work on Nate's porch extension. Can they get all of the sheathing boards up today? That was the burning question of the hour. When I looked down at my shoes, here's what I saw. I guess you could say I had a close call. What fun! 6:45 AM Now this is sweet. I cooked Chinese food last night and invited Nate and Jess to join Becky and me for supper. As Jessie was getting the water glasses out of the cupboard, she automatically got out five, not four. By the way, Jessie has updated her blog. I think you'll really enjoy the picture she posted there. 6:33 AM One of the many places I visited on my trip was the Armenian Orthodox Seminary in Echmiadzin, often referred to as the "Vatican" of Armenia and the seat of the Orthodox Catholicos. Here I had been invited to lecture on two topics: "Is the Text of the New Testament Reliable?" and "How to Teach and Preach from the Greek New Testament." The students were as sharp as a tack. Afterwards I was given a tour of the ancient church that stands in the center of the city. The original edifice was built over a pagan temple and dates back to 301 AD. While there I was able to donate several of my books to the seminary library. Shown here is the dean, who hails from Constantinople (Istanbul). Once again, let me thank all of you for your prayers. 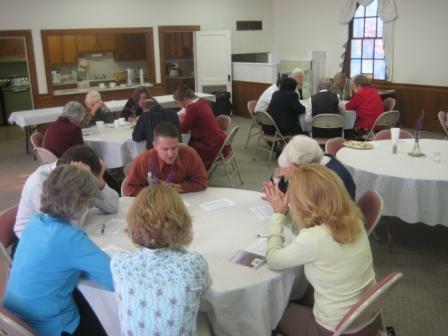 One of the loveliest things in life is the way in which we can pray for each other ("helping together by prayer," 2 Cor. 1:11), and I certainly felt your prayers and the support of the Holy Spirit as I tried to show clearly and convincingly that the Bible is the Word of God and can be trusted and relied upon for doctrine, reproof, etc. This Word is life, gives life, and promotes life. All too often it is warped and twisted and distorted by our manmade religious traditions (and evangelicals are often just as guilty of traditionalism as any other group of Christians). My message was simply that law-keeping and good works are of no more use for salvation than the garbage we throw away in the trash every day (Phil. 3:8-9). 6:12 AM Nice serendipity: The Haven of Rest Quartet CDs arrived while I was gone. Becky and I can't stop listening to them. They bring back many happy memories of our time in Basel in the early 1980s when I was a student there. We would listen to them as we went about our daily work. My favorites are Greater Is He, O Love That Will Not Let Me Go, We're Just the Singers of His Song, Care for My Lambs, Channels Only, Softly and Tenderly, and Behold, Bless Ye the Lord. These are great hymns to have milling around in your noggin as you go through the day. 6:04 AM I've begun a 4-part series on what I am calling "Christian Archy." To read the first installment, go here. 1:50 PM Just took a farm walk. Becky planted some fruit trees while I was gone. Peaches and pears. Should be scrumptious. The daring duo (make that "trio") have been expanding their pantry and mud room. As you can see, the framing is almost completed. They'll call on me for help when they need (*ahem*) "skilled" labor. Nate was able to practically fill our new barn while I was gone, thank the Lord. I can remember when this barn was nothing but a sketch. As you know, one of our main crops at Rosewood Farm is horse quality square bale hay. People have even come from Charlotte to purchase it. I really missed our goats when I was gone. Funny thing, neither Jessie nor I could get them to come to us when we called. Then along comes Nathan with his patented goat call, and there they were! The photo of the day. Here's Nathan with Sheba, Sheppie, and Dayda (mama, papa, and daughter). My how big Dayda has grown in just two weeks! Can anyone tell I'm happy to be back home again? 1:15 PM I see we're not the only ones who are excited! 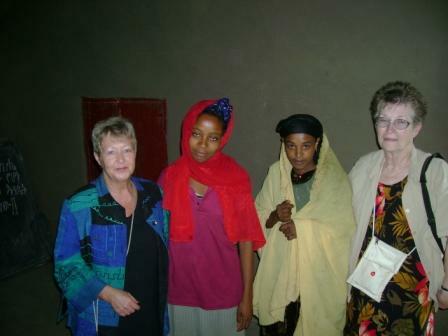 12:45 PM In just five and a half weeks, Becky and I will return to Ethiopia with our Burji Team. While I was abroad she kept herself very busy with trip preparations. I asked her to prepare the following update. (For a printable version, go here.) It's all very exciting. As you can see, being in the Gospel business "fulltime" can keep you hopping, but we wouldn't change it for the world! Clinic Provisions: Praise God for His help in supplying the clinic! On Tuesday, Oct. 7, we loaded up 2,059 pounds of goods. This included medical supplies, solar power equipment, wheelchair/crutches/walkers, teaching tools for the chaplain, an EKG machine, etc. All of this was put onto 3 pallet crates, and started on their journey to Ethiopia. 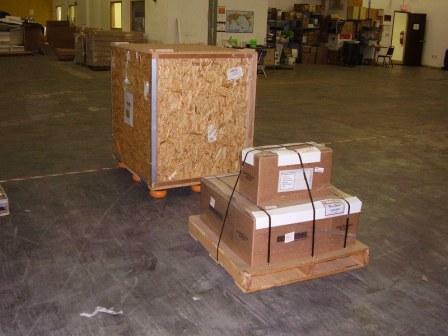 After stops and layovers in 3 airports, the crates will land in Addis Ababa on Monday evening, Oct 20 (next week). Please pray for safety, and that nothing gets lost along the way in these airports. Then comes the laborious task of getting the crates out of customs. Please pray that God will give us grace and the supplies will be released to the Burji church without a huge customs fee. This process will be done Tuesday, Oct. 21 (and possibly a few days after that). 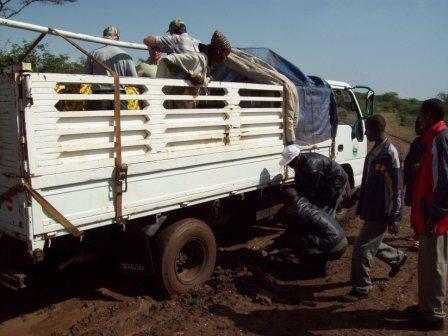 Then the crates will be loaded onto a truck and driven slowly over narrow/rough roads for about 15 hours to Soyama; this involves traveling about 2 hours on a gravel road through Guji territory. Please pray for safe travel for both the equipment and the people traveling with the truck. Ministry Items Purchased: The Burji church leaders are collecting in Addis other items needed for our ministry in November. Two days ago I wired $4,750 to the International Bible Society to pay for 1,280 Bibles. What a glorious ministry this is! Each person receiving one of these Bibles has memorized 9 passages (which we have selected). It will be a great joy for us to personally give these Bibles when we are there in November. Also, we are purchasing 800 wash basins and 800 bars of soap. These will be given to each woman who attending our hygiene class, learns a Handwashing Catechism, and memorizes 1 John 1:5-9 about the spiritual cleansing that comes from the Lord Jesus. Wells being dug: The well has been place for the clinic! Praise God!! We hit water at 75 feet and are now putting a hand pump in place. 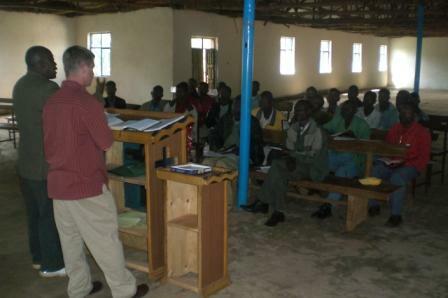 We have identified 5 more rural church sites for continuing this ministry. Our vision is to have a well with continuous Gospel presentation (through loving word and deed) to the villages in Burji. In November, we will place the solar power for this ministry in 3 of these churches (and already plans are being made to return in May for additional churches). Ministry Items still needed: As you can see, things are moving fast and furious toward our departure on Nov. 22. All of Burji is a-buzz, all of Rosewood Farm is a-buzz, all of Roxboro, NC is a-buzz … are you joining us? We have received funds to pay for many of these things, but we still need to buy the food for the widows and the Bible Conference; we will buy these items when we arrive. We’ve had many supplies donated, but we still need some specialized medical equipment (otoscope, laryngescope, and fetal doplar). A couple churches have hosted a "bandage rolling party" and a "flannel graph cutting party." Everyone on the Team is finalizing their personal ministry preparations. The Burji churches are fasting and praying for the ministry. We’re all before the Throne to ask for His work to be done in the Guji tribe. But we need more prayer…consistent, faithful prayer coming from people who are pure before God. WHAT A PARTNERSHIP GOD HAS ALLOWED! You … us … the Burji church … the Alaba church … the Gondar church ... all for the advancement of the Kingdom of our Lord Jesus. May His Cause be realized! May His Name be glorified! 8:20 AM If you're still thinking about voting for the evil of two lessers, Lawrence Vance wants to talk to you about Chuck Baldwin. Then go and read Chuck's own take here. 8:05 AM I'm BACK! Everything went splendidly well, thanks to your prayers. Just a bit jet-lagged. I'll try and post an update later. But first the really BIG news: Nate and Jessie are going to have a baby. Due June 10 (one day after my birthday). Let's see ... I go abroad and Nathan gets engaged. Then I go abroad and they announce that Jessie is pregnant. I need to travel more often! Talk at ya soon, and, again, thanks for your prayers and emails.